I believe that couples choose a venue because they love the place; love the landscape, the mountain, vineyards, trees, and architecture. This is why I try to capture you in that environment and try to show the beauty in your heart and the location. I try to mix this up with some intimate close-up photos to show the love, intimacy and passion between two people in love. 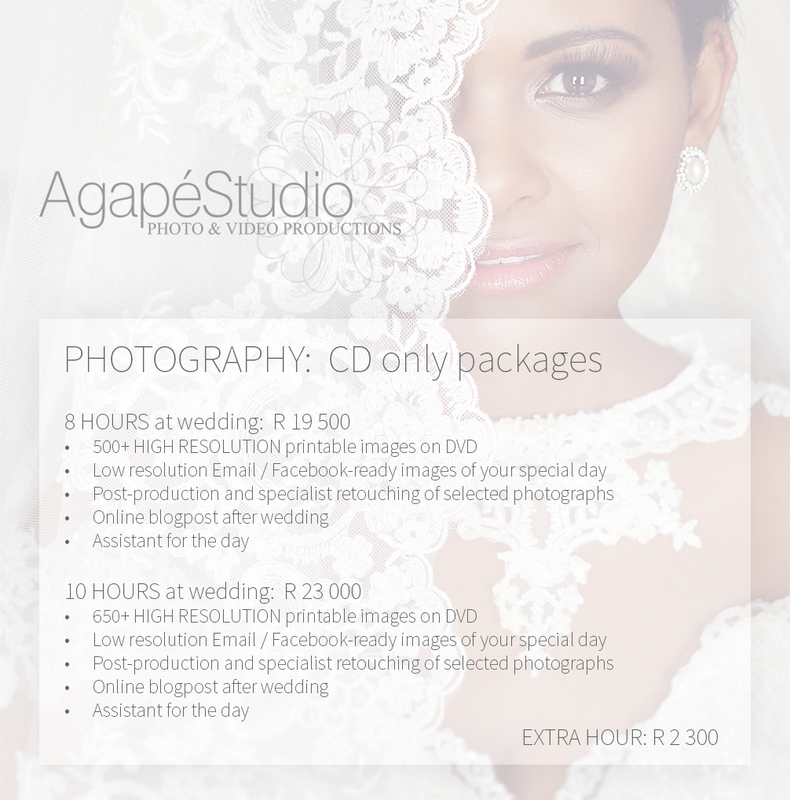 Agape Studio on Pasgetroud - VIA TV from Agapé Studio Productions on Vimeo. 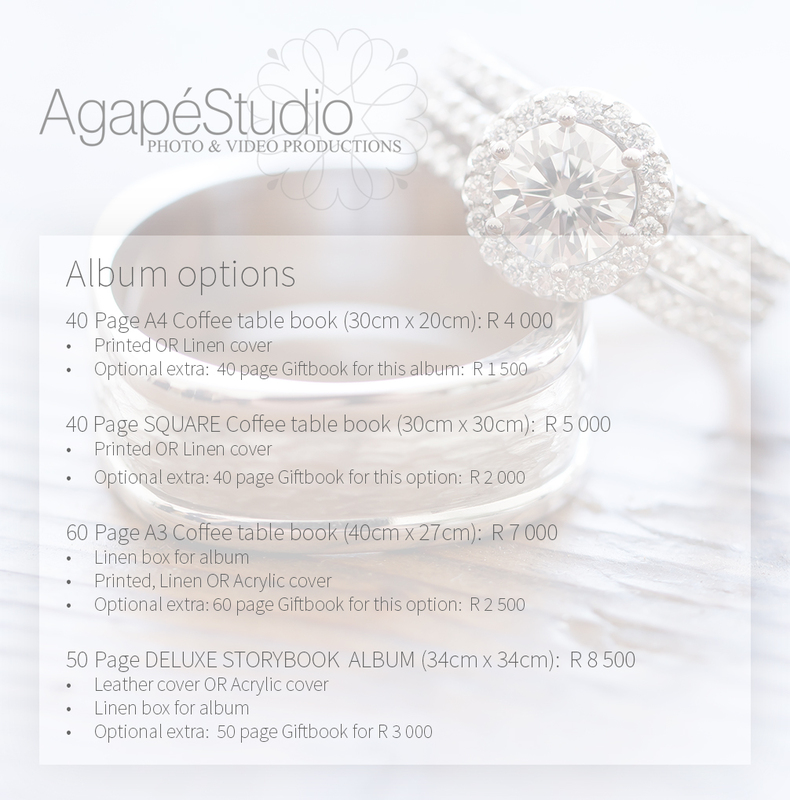 Agapé Studio is synonymous with fantastic service & awesome products. 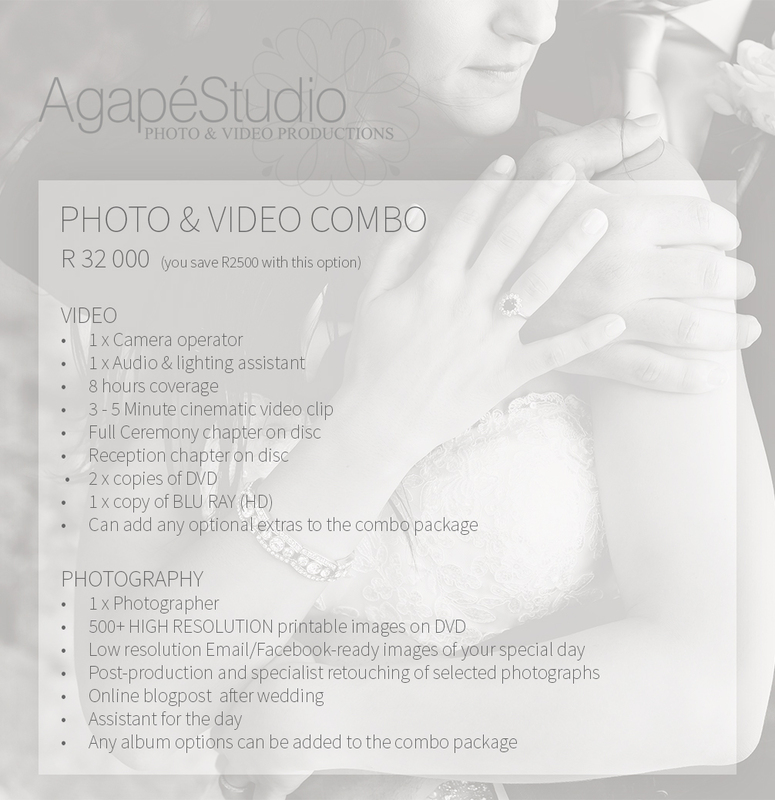 We've been photographing weddings for more than 10 years and had 100s of satisfied clients within the wedding industry. 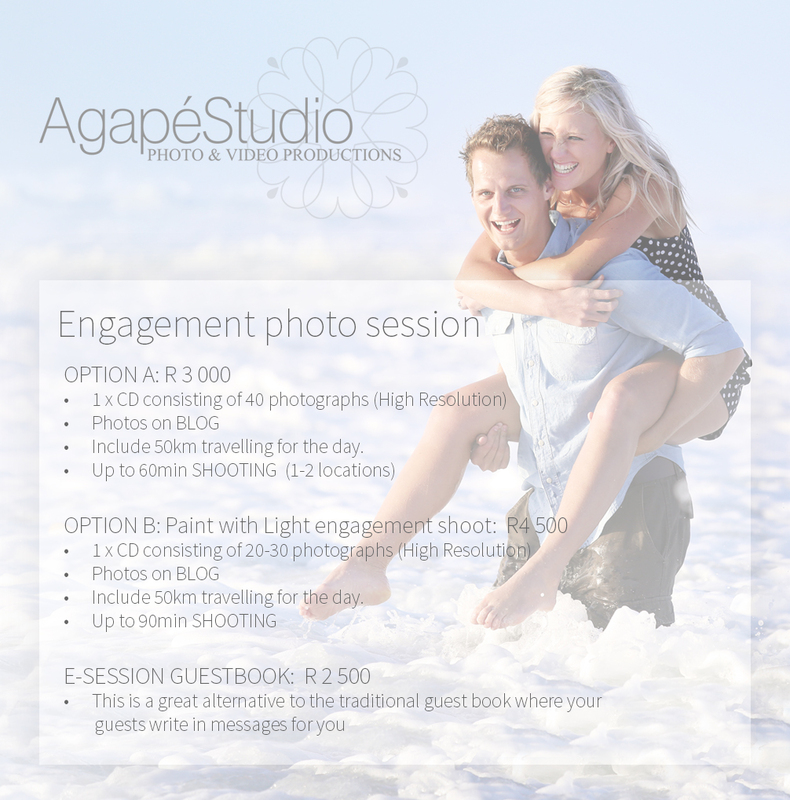 With this, we are very excited I launching our new service to wedding clients. 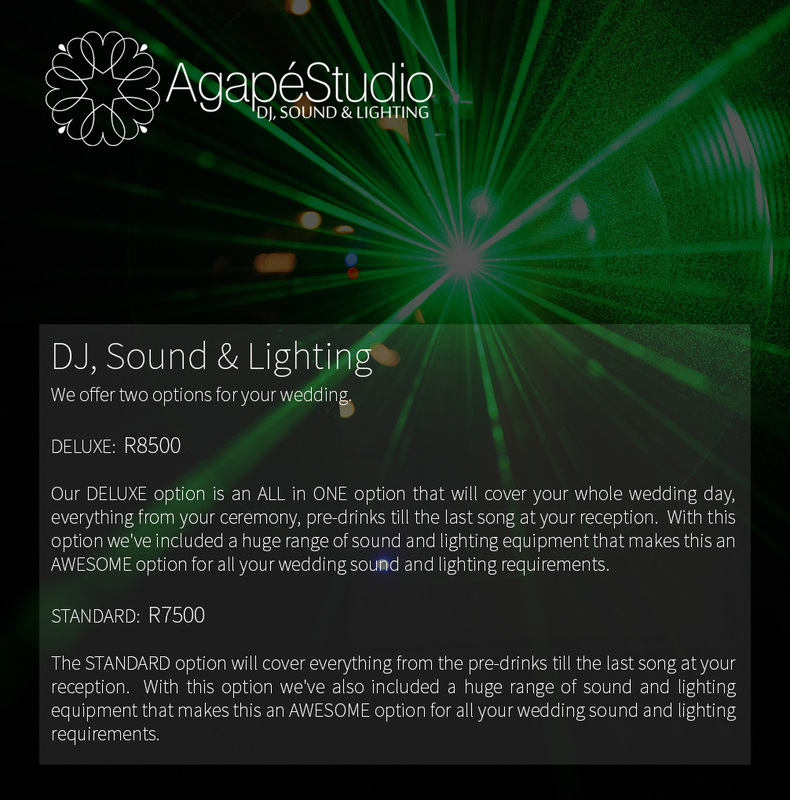 Agapé Studio also offer a fantastic DJ, Sound and Lighting services for weddings all over South Africa. 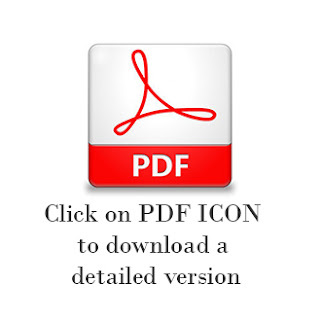 Her style is similar to mine, but her prices may be more within your budget.